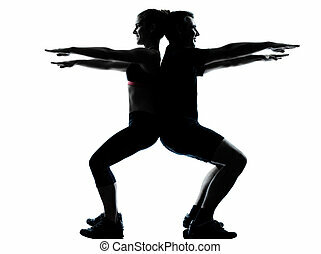 One couple man woman exercising workout fitness. 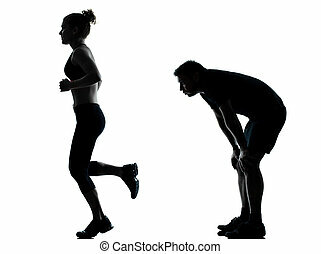 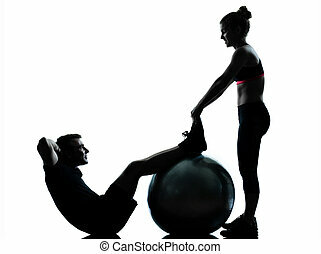 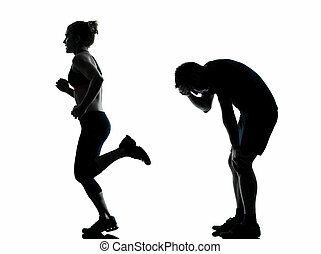 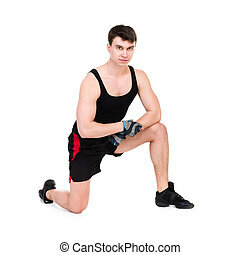 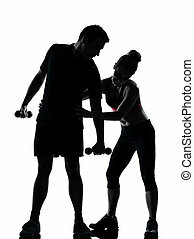 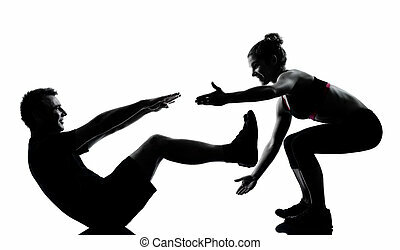 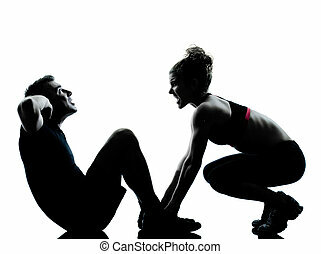 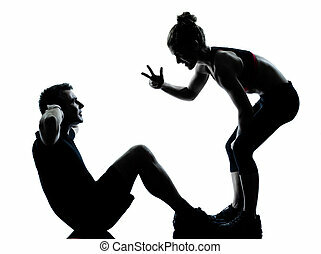 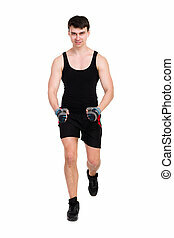 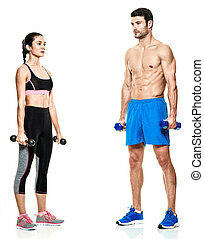 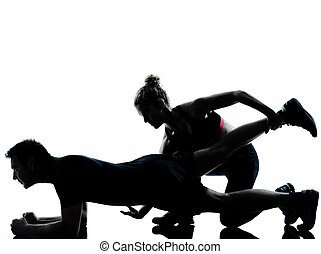 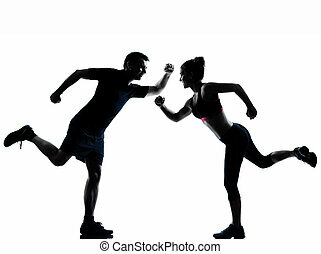 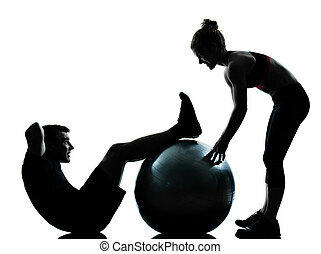 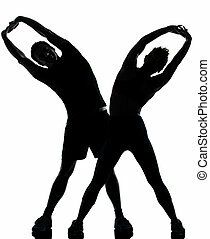 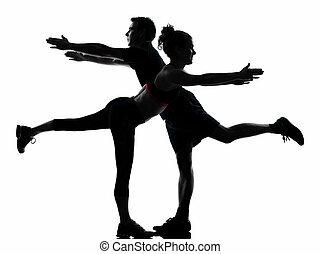 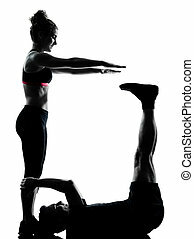 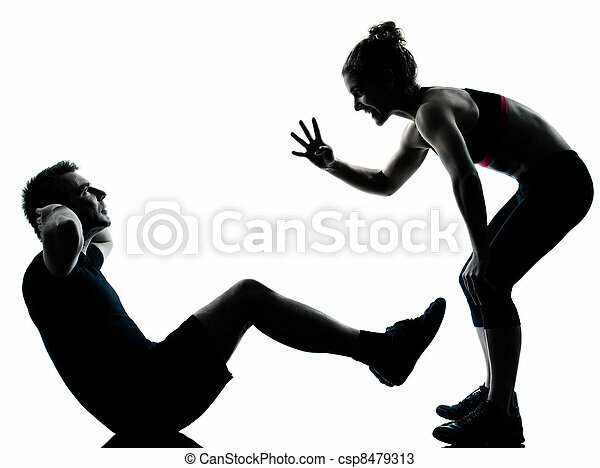 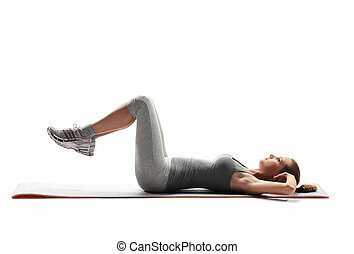 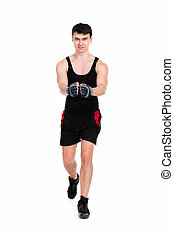 One couple man woman exercising workout aerobic fitness posture full length silhouette on studio isolated on white background. 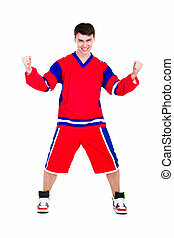 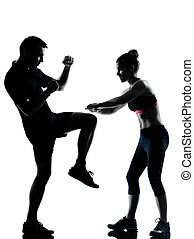 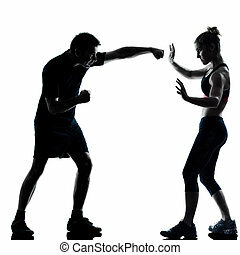 Woman wearing boxing gloves hitting training mits man is holding.